The Great Barrier Reef is the largest coral reef system on the planet, located off the coast of Queensland in Australia. There are 2,900 individual reefs and 900 islands, which take up an area of 344,400 square kilometres. The Great Barrier Reef is so massive that it can be seen from space! 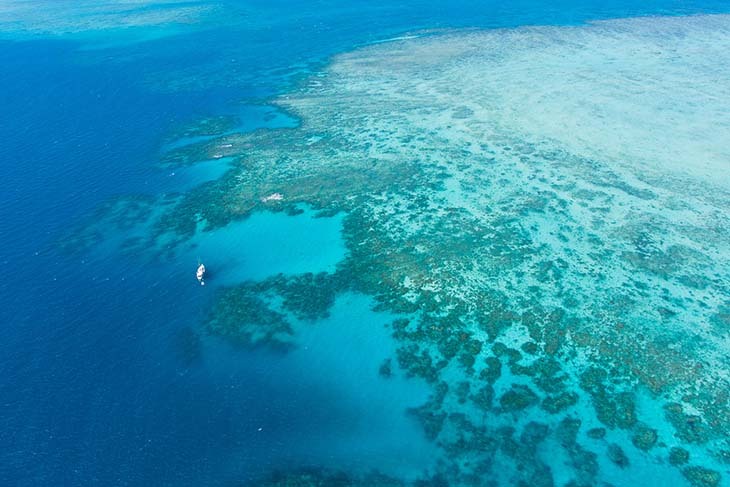 In 1981 the Reef was selected as a World Heritage Site and has since been labelled as one of the seven Natural Wonders of the World. 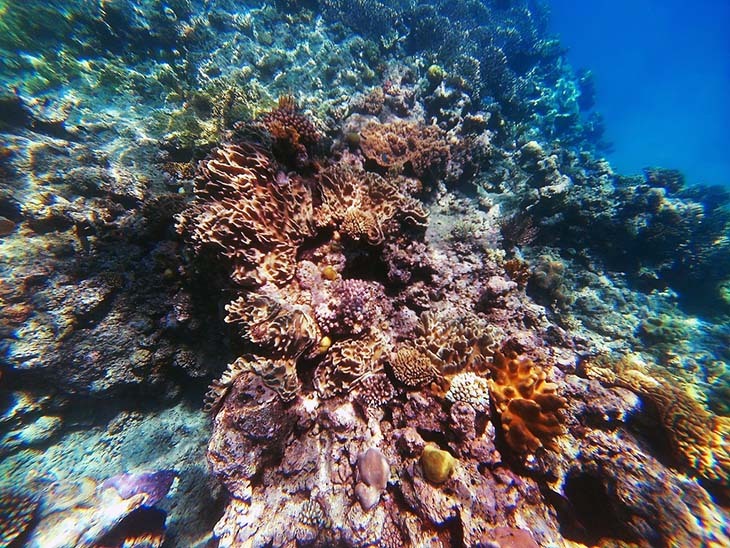 But of course being underwater it can be difficult getting to see this entire incredible reef. 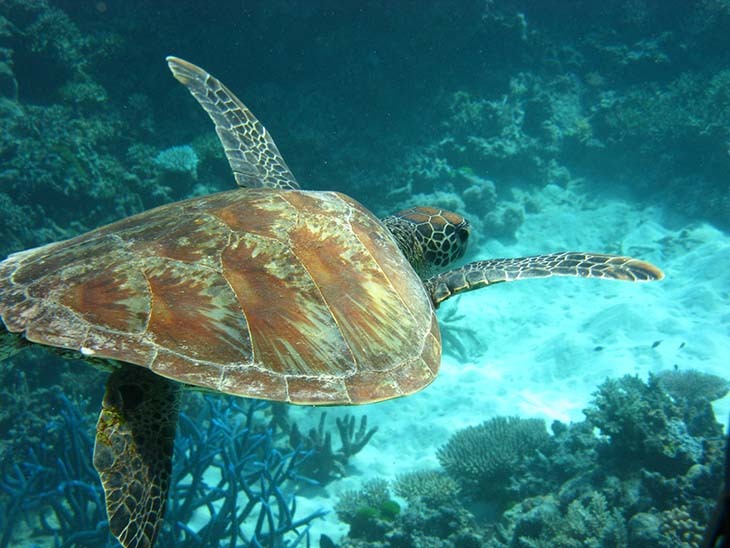 So to help out our readers, we have assembled a short guide to scuba diving in the Great Barrier Reef. Be warned, to get full scuba training in Australia you need to invest at least 2 days with classroom and pool training sessions. These classes will give you PADI or SSI Open Water Diving Certification, meaning that you can legally go scuba diving in the open ocean. The ‘Learn to Dive’ Contiki tour is a great way to get your full scuba licence and then see the full extent of the Barrier Reef. Over a five day period this tour gives you the two days of scuba training needed before three days of diving in nine of the best scuba spots in the reef. This tour actually features a live aboard boat so that you can be on the water for as long as possible, experiencing the full majesty of the open ocean and reef systems. In terms of diving without a licence there are a few options. Understandably a lot of diving companies don’t have great options for those without diving licences. Most companies will have snorkelling options, which are still a great way to see the flora and fauna, however there are a few beginner spots which you can access. If you decide to travel through the reef using a private boat then you might want to read up on the best places to dive. The Agincourt reef is a great beginner diving spot, with shallow reef beds that stretch more than 3,000kms; this spot features thousands of colourful corals of all sizes. This spot can be dived by scuba or snorkel so it is open to all. 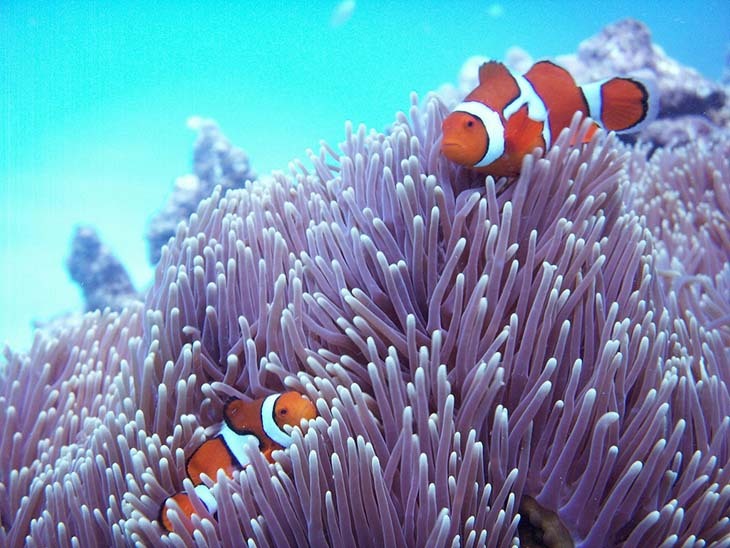 A more advanced diving spot, the Ribbon Reef is located on the Northern end of the Barrier Reef. This reef has a lower sea floor, so scuba is more of a necessity but the experience is well worth it. Ribbon Reef has a large number of different species of fish which use the protected reef beds for breeding. As well there is an incredible abundance of coral formations. The most advanced diving reef and arguably the most stunning, the Osprey Reef is home to an incredible diversity of fauna species. This reef can be a little dangerous due to the large number of shark species which primarily use the reef for feeding. But don’t be too worried, the shark species in Osprey feed on fish alone, none of the sharks get big enough to be bothered by taking on a human. We suggest travelling from June to November while the weather is mild. If you go during the wet season of Queensland the water can get a bit choppy which restricts vision while underwater it can create adverse diving conditions. We also suggest staying in Cairns. It is a great base to get to the diving schools littered around the city and has a decent enough nightlife scene to keep you entertained. We would suggest the Salt House for your alcoholic adventures; this bar offers excellent bar food and cocktails made to order for a reasonable price. To stay, we would suggest the Cairns Aquarius as an inexpensive but more than adequate rooming solution. You can catch a plane to the Cairns airport, only a short distance from Cairns city. If you are travelling from an international location your best bet is probably to get a transfer from the Sydney International Airport, as Cairns only takes in domestic flights.